You can see Claire Sampson work on Medieval style carvings at Down County Museum on Saturday 28 September from 2.30pm to 4.30pm. 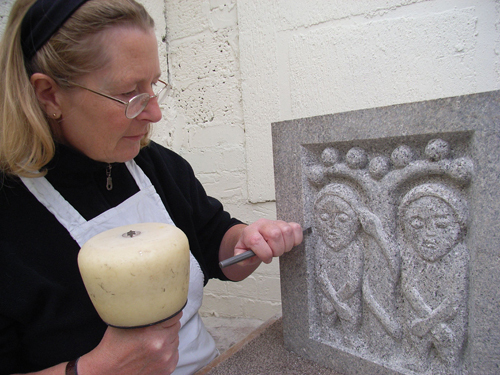 She is working on a reconstruction carving of Adam and Eve pictured below based on the remains of the image on the Downpatrick High Cross currently located outside Down Cathedral. Claire Sampson at work in the Down County Museum.